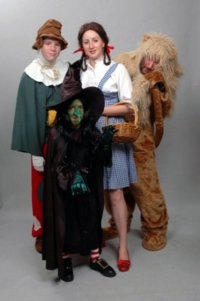 At Amazing Transformations we have ready to wear costumes for your favourite book characters, historical or movie stars, novelty costumes and morph suits for both children and adults. If you want to sport a vintage look, our 1920s through to 1970s costumes will do the trick. We also have group costumes for themed parties and offer a 10% group discount when you rent 10 or more outfits from our melbourne costume hire shop. Wigs, masks, makeup, novelties and other costume accessories are also available to buy. These can add more depth to your chosen character fancy dress choice. We are working hard at putting photos on line of all our costumes but there are 1000's to choose from so if you don't see it on the website contact us and see if we have it. We are proud of the wide selection of costumes and accessories that we have to complete your look.